Met Éireann has warned that a "raw" day of weather will give way to frosty and rainy conditions. The national forecaster says temperatures will drop as low as -3C tonight, with frost and a band of rain pushing into eastern areas this morning. A spokesperson for Met Éireann said: "There will be scattered outbreaks of rain, heaviest across the east and south-east. It will be rather cold, with lows of 2C to 6C. Winds will be mostly moderate easterly, but fresher at times along eastern coasts." The weekend will bring warmer and drier conditions, with temperatures rising to 14C in parts of the country. Tomorrow, in particular, will be a drier, brighter and milder day across the country with sunny spells. 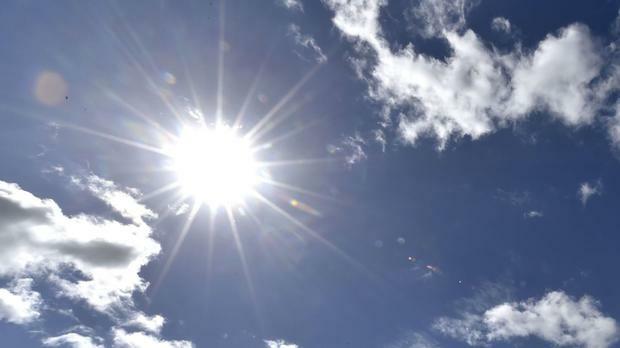 The spokesperson added: "It will be a dry and bright day for many across the country with sunny spells. "Any lingering overnight rain will soon clear, however, the south-west of Munster will see a few showers. "We will see a maximum temperature of 10C to 13C, with the highest values in the west."